PUTRAJAYA: The authorities are taking preventive and proactive measures to prevent further deaths of tapirs at the Sungai Dusun Wildlife Conservation Centre. Seven tapirs have died at the centre, the first on Sept 17 and the last on Sept 29. The Department of Wildlife and National Parks (Perhilitan) is prescribing antibiotics and medication for blood parasites to the six remaining tapirs at the conservation centre. Veterinary officers are also conducting checks to prevent further deaths of the mammal. Following a post-mortem conducted by veterinary teams from Perhilitan and Universiti Putra Malaysia (UPM) on Aug 17. it was found that the cause of death was due to the E.coli and Klebsiella pneumonia bacteria. There are no signs of an epidemic but liming has been done to ensure there is no pathogenic bacteria prior to the release of the mammals into the enclosure. The night stalls and paddocks are also being sanitised with Lysol, lime and chlorine and a tyre bath has been built at the entrance to ensure all vehicle tyres are washed before entering the centre. The remaining six tapirs have been introduced into the 10 and 100-acres enclosures to prevent exposure to the bacteria and the tapirs in the 100-acres enclosures are fitted with radio transmitters to enable Perhilitan to locate their whereabouts. 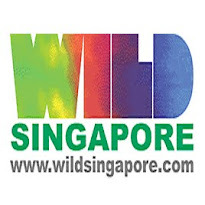 The Sungai Dusun Wildlife Conservation Centre focuses on captive breeding as well as biodiversity educational programme and is a protected area management. The first tapir was introduced at the centre in November 2004 under the tapir breeding programme.